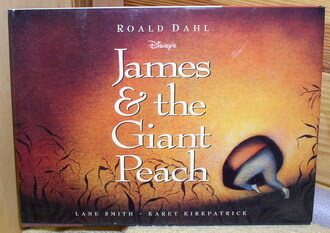 Disney James and the Giant Peach Picture & Story Book. The art work for each picture for this book was prepared using oils on board. The book was designed by Molly Leach. The are over 18 full pages of pictures on the right side of this book with the left side of the pages is the written story.